The term “bug” describes a certain type of insect. What do bugs have that other insects don’t have? What do you call a scientist who studies insects? Crickets are famous for chirping, but how do they make that noise? Insects make up what percentage of the world’s animals? How many eyes do most spiders have? Roughly how old is Earth? What is the axial tilt of the Earth? The Earth’s average distance is ______________ kilometers from the Sun. The Earth is a _________________ planet. Earth’s atmosphere consists mostly of? 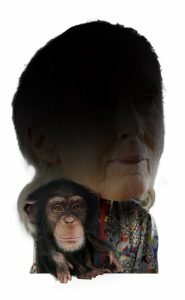 She is known for being an expert on chimpanzees, having studied with them over 55 years. She has no formal training or education in the primatology field when she started her study about chimpanzees. Her findings with the chimpanzees was that they were extremely similar to humans, as they had the ability to make tools, and had a social system. She devised the Banana Club, a feeding system to get as close as possible to the chimps. She ate the same food as the chimpanzees and spent time in the trees with them. She travels at least 300 days a year, remaining an advocate for chimpanzees. She is a vegetarian and advocates the diet for ethical, environmental, and health reasons.